Counting down the top tips from the first part of 2018. Tuesday Tips are presented by Spin Ultimate; all opinions are those of the author. Please support the brands that make Ultiworld possible and shop at Spin Ultimate! As we pass the six-month mark in 2018, the World Ultimate Club Championships are just a few weeks a way and the Triple Crown Tour kicks off in Colorado this weekend. There is so much more ultimate left in this calendar year and many readers out there are just getting started. Thousands of you have visited the site to check out out our weekly column Tuesday Tips, sifting for nuggets of knowledge on a range of topics from how to use timeouts to using your body legally on defense. So as we head into a holiday week here in the United States, let’s count down the Top Five Tuesday Tips Of The Year (So Far). Playing your best and winning games often means making adjustments to overcome challenges. Making adjustments requires mental flexibility. Mental flexibility requires—you guessed it—careful preparation. Guylaine Girard brings her 25 years of experience to this crash course on ditching what you think you know about playing tough and learning how to zero in on your zen head space to find success on the field. Are you running a vertical stack in your sets this year? Does everyone on your team understand where to cut and throw for resets? Whether you’re switching to vert after years of horizontal stack, or just installing your first reset system ever in program history, AJ Klopfenstein’s easy-to-follow walkthrough of a basic handler pattern should be assigned reading in Ultimate Film Study 101. A flick huck in stride off a cut up the line, an artful around backhand that leads the swing to the far sideline, or a breakmark hammer that nails your receiver in the opposite corner of the endzone—when your body snaps into the perfect throw, it’s like hitting the magical chord that resolves all movement of a symphony. Of course, many players spend way more time in search of that feeling, endlessly tweaking amounts of wrist-flick, experimenting with pivoting footwork, and tossing self-passes to simulate catching a throw in power position. Trying to find the right amount of touch can feel like throwing spaghetti at the wall. Rowan McDonnell (Washington D.C. Truck Stop, D.C. Breeze) has done a lot of the work for you. Check out his breakdown of how get your hucks to sit in the perfect space for your receivers. The level of physicality in ultimate changes from game to game like the weather in Rockford, Ill. Adjusting how you play defense, especially if you came to ultimate from a sport that allows contact, is downright tough. Jeff Graham brings championship-level knowhow to his breakdown of feeling out your defensive assignment positioning. The Boston ultimate stalwart has nearly two decades of plastic-chasing under his belt. Even though he’s spent much of his career shining on the O-line, he’s amassed the kind of defensive sensitivity necessary to hang tough after the turn with San Francisco Revolver breathing down your neck. For many ultimate players, offense is the fun part. 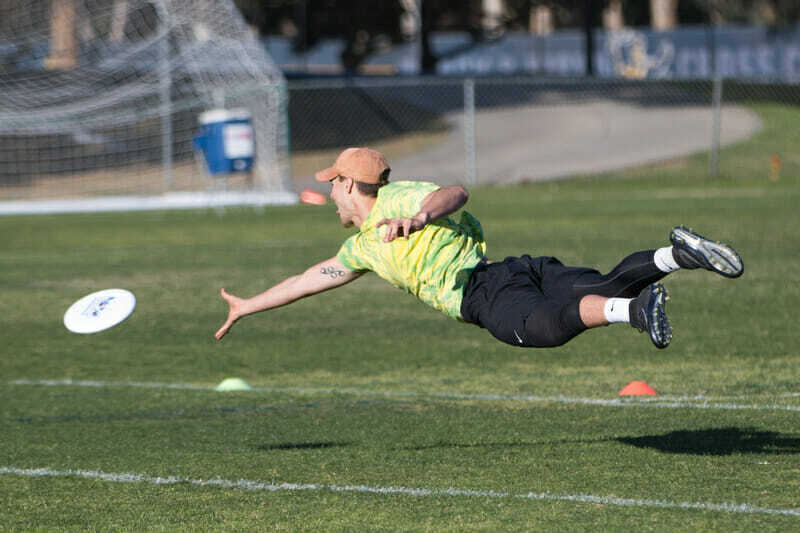 Instead of digging in for sprint after sprint to shut down open space, you’re throwing hip fakes for free unders, tossing off-hand resets, ripping hucks, and laying out for the score. Who doesn’t want to practice all that? There are far fewer players and coaches well-versed in the art of good defense, so it tracks that our most-read Tuesday Tips column (so far) in 2018 is another investigation of denying the disc. Midwestern ultimate ace (and novelist!) Alex “Uber” Rummelhart takes you through the art of developing your defensive field sense. That’s it for the best of the Tuesday Tips best (so far) this year. On behalf of all our columnists and staff here at Ultiworld, thanks for reading and thanks for your support. Comments on "Tuesday Tips: Top Five Tuesday Tips Of The Year (So Far), Presented By Spin"